Or, to put it another way, Don is doing miscellaneous summer stuff the next two months — he gets that way every time a new edition of his Hammett tour book comes out. No guilt that folk rolling into town can’t find the Hammett locales without him personally leading the way. 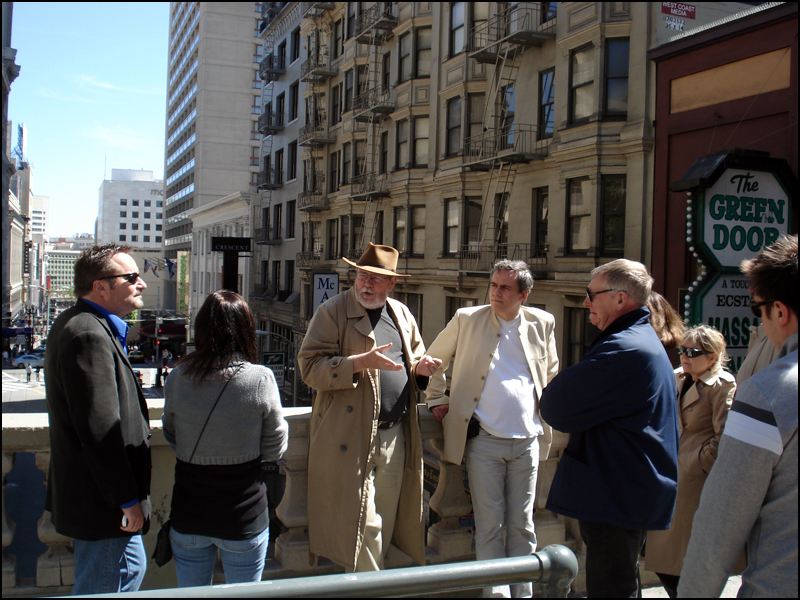 You could even arrive in San Francisco one morning, call up a version of the tour book on your Kindle, do the walk, and fly out before dinner, that’s the world we’re living in. But there will be more walks in the fall, never fear, when Don will slip out of his sandals and back into his gumshoes. Meanwhile, Don was surprised to find himself in the herd of nominees for the Munsey Award presented annually during PulpFest at the end of July in Columbus, Ohio. For at least twenty years he has thought about going to one of the Ohio pulp conventions, but with one thing and another never has made the trip. Until now. Between being up for the award and the chance to tie in with some longtime pals — plus sharpening knives with some crime writers in advance of the Bouchercon in San Francisco later this year — plus seeing the Guest of Honor, Hammett biographer William F. Nolan, again — anyway, if you show up, too, Don will see you at PulpFest. He’s agreed to sit in on a panel about the pulp The Black Mask, and will be around ready to talk pulp writers such as Hammett, Robert E. Howard, E. Hoffmann Price, Don Wandrei, H. Warner Munn and company until the beer runs out. And while Don doesn’t believe he’ll nab the Munsey out of that crowded field of contenders, he appreciates the guys over on The Rap Sheet for name-checking him as one of three people up for the honor — if it were only three, not sixteen, the odds might be better. 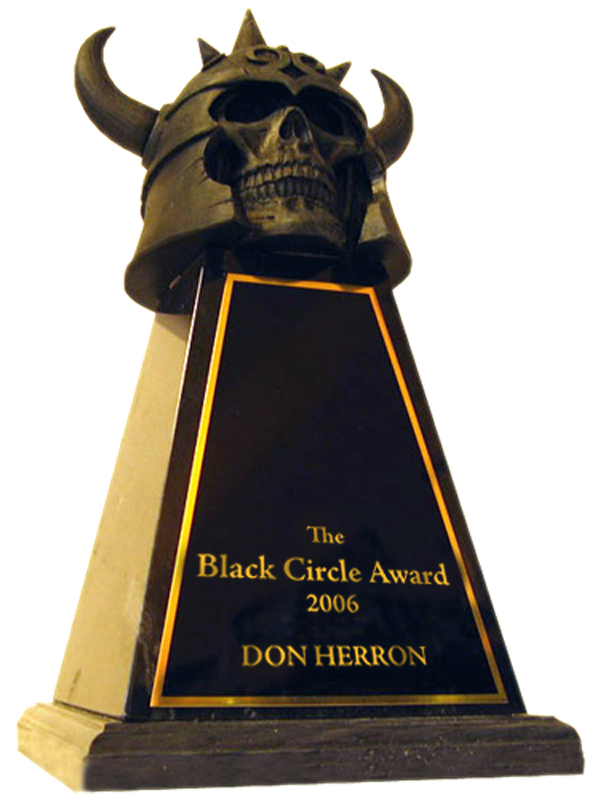 Our pal Damon Sasser also did a blog story about Don and the Munsey Award over on his Two-Gun Raconteur website. While Don did not make it to the annual Robert E. Howard Days in Cross Plains, Texas this year, he did contribute one of his signature reviews to the latest issue of the print magazine Two-Gun Raconteur — which Damon premiered on June 11 for Howard Days. 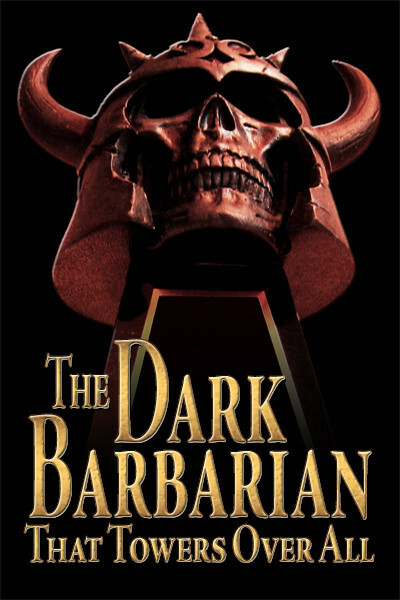 The thrust of the review is that Don noticed that the academic-oriented Howard fanzine The Dark Man has reached its twentieth anniversary — but that none of the current editors, past editors, web blogs or general passersby was aware of the milestone. So, Don stepped in and said a few words on this momentous occasion. Trust us, an instant classic. . . . This entry was posted in REH, Tour and tagged Black Mask, Fabrice Tortey, Kindle, PulpFest, Pulps, Rap Sheet. Bookmark the permalink.